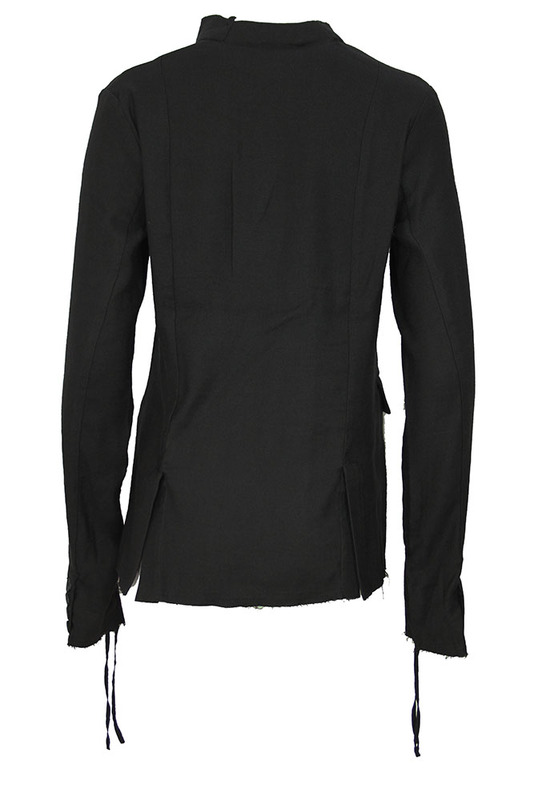 Pal Offner black, off-centre fastening jacket 'Fan Jacket'. Elaborate raw edged round collar. 7 button off-centre fastening with double layer placket. Black stitch faux-buttonhole. 2 pockets with flaps. 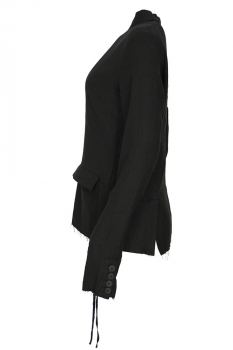 Very long sleeves with 4 button working cuffs and black fabric drawstring to ruche the sleeve. 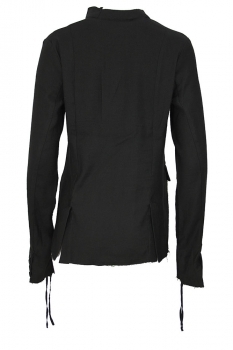 Raw edged hem with double stitch detail. Double vent at rear. A beautiful jacket, great design and style.